Sterling E. Stevens is an architectural photographer and award-winning fine artist, formally educated to be an architect with over 15 years of practical experience. Since 2009, he collaborates with local and national clients to provide creative professional photography for designers and the entire building industry for use in marketing, advertising, publication, and pursuit of design/industry awards. Sterling E. Stevens DESIGN PHOTO also provides high-quality real-estate photography to residential/commercial developers, management companies, investment corporations, and individuals to maximize marketing to sell or rent property. His photography can be extensively found in national ad campaigns, magazine covers, marketing collateral, and high-end listings. For 16 years Steven Whitsitt has traveled throughout the US photographing custom interiors, kitchens and baths for high end design firms. Steven’s work has been published in major national and regional magazines and trade publications as well as books. Call now to arrange for Steven to photograph your best projects. Catherine is a commercial and editorial photographer living in Raleigh. She photographs projects in Raleigh, San Francisco, and beyond. Specialties include interior and architectural photography. Her work has been published regularly in Walter Magazine as well as appeared in Triangle Home Design and Decor Magazine, San Francisco Magazine, California Home & Design and Hills & Lagoons. She attended the Academy of Art University for a degree in Commercial/Advertising Photography. Catherine has been the still photographer for the HGTV show Love It or List It for the past two seasons. Commercial, Architectural/Real estate, Corporate, Portraiture and Wedding photography studio located in Cary, North Carolina. As an Architectural and Interior Photographer, my goal is to "tell a story" with each and every image I create that exceeds the customers' expectations. I specialize in Interior and Architectural Photography in the Greater Raleigh, NC area. Adam is a Raleigh, North Carolina based photographer who specializes in creating professional images for builders, architects, interior designers, and real estate agents. He understands the importance of high-quality images in marketing properties, projects and design vision to potential clients. His approach to photography blends ambient exposures, multiple off-camera flashes or a mixture of both depending on the needs and desired results of the client. Providing outstanding customer service and a quick turnaround is always a top priority on any project for Adam. Timeless Photojournalism is an international, husband and wife team that enjoys capturing stories through creative imagery. The style and signature of our brand can be likened to an ad campaign in a magazine, an art gallery display, or a faint mental image, vibrantly brought back to life. North Carolina Triangle based photographer specializing in architectural, design, real estate and 360° virtual photography. Keith Isaacs is an award-winning architectural and interiors photographer based in Raleigh, North Carolina, documenting the built world for architects, designers, developers, engineers and contractors worldwide. 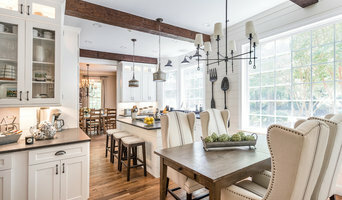 Every home will have key selling points or features to highlight, a professional interior photographer in Raleigh, NC will be able to evaluate and present those features in a way that is truthful yet instantly appealing to viewers. If you live in a top-floor studio or apartment, for example, the focus should be on natural light, views, and the clever use of space. However, for those living in an Indian style independent home, the interior photography will aim to capture the cosiness of the house, the characterful antique details and the abundance of outdoor space. 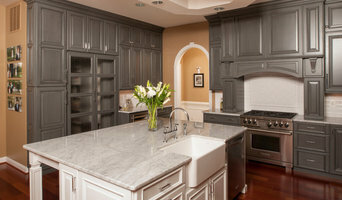 Professional Raleigh, NC architectural photographers vary quite widely in the services that they offer. Some photographers include home staging in their rate, some include editing and some want to come prior to the shoot date to set up shots. Others will not offer these services unless asked or will charge an additional rate. Make sure you ask the photographer beforehand what is included in the cost. If he or she does not offer everything you need, you might want to consider reaching out to other professionals to get the best-finished product. 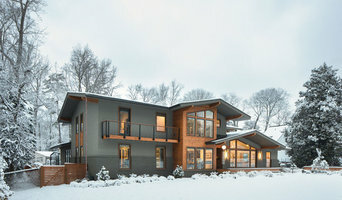 Find an architectural photographer in Raleigh, NC on Houzz. Narrow your search in the ‘Find Pros’ of the website to photographers. You can also look through photos by style to find a room you like, then contact the professional who photographed it.